Combining them both makes my heart sing and it’s also the foundation of my life’s work. You see, I believe that all of life is a conversation. How you live and how you lead begins with what you say. My purpose is to help you say your words well from the boardroom to the bedroom, so you can have a happy and whole life. 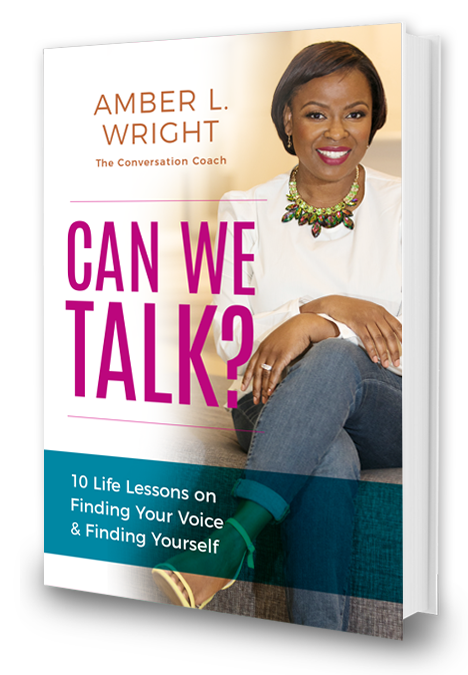 As the Conversation Coach you never knew you needed (but will be so glad you found! ), I’m here to give you the tools you need to experience better connections with the people that surround you in a deliciously authentic way. I have a master’s degree in Interpersonal Communication and taught college courses in that field for 8 years (I was so good at it, I won an award for my teaching). I started my coaching practice and consultancy as a way to reach more people and impact more lives through the power of effective communication. This journey has led me to work with amazing men and women who’ve trusted me to help them tell their story at places like Harvard, TEDx events, SXSW, and many more. As a certified life coach with a focus on personal growth and development, I get to accompany my clients on the special journey of bridging the gap between where they are and where they want to be. To use my gift of communication to facilitate that process is a privilege to me. I truly love every facet of what I do and couldn’t imagine doing anything else. On a personal note, I’m a married mom of two, proud lefty, and card-carrying member of Beyoncè’s BeyHive. I love to read, eat delicious food, and talk on the phone with my friends (because…extrovert. But I’m sure you guessed that already). What do you do when everyone around you seems to have life all figured out and you’re the only one scrambling to find your way? Do you give up on your hopes and dreams, because you have no clue where to start with making them a reality? If that thought has ever crossed your mind, read this book before you throw in the towel. In Can We Talk? 10 Life Lessons on Finding Your Voice & Finding Yourself, I offer guidance on how to unmute your inner voice and crank up the volume into speaking your life into existence.